If you're looking for a treat to charm kid and grownup trick-or-treaters alike, then look no further than this bright and whimsical classic bouquet, newly refreshed for 2015. 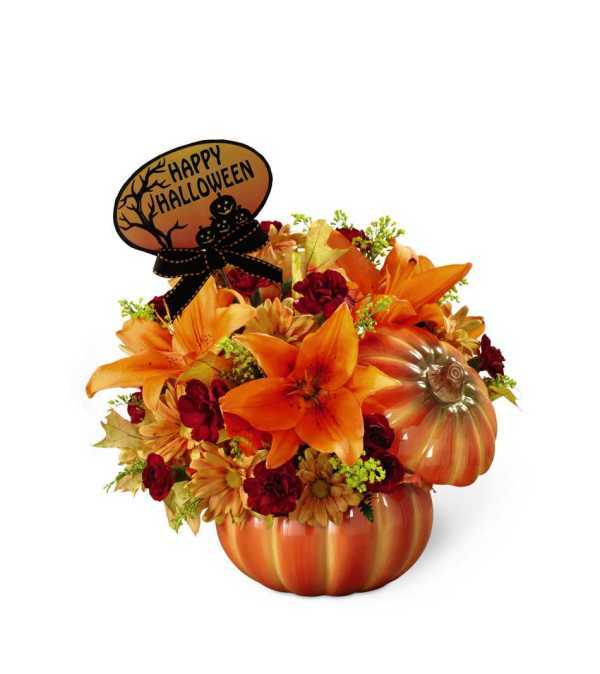 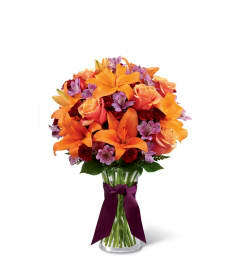 A "spook-tacular" tribute to the season of ghosts and ghouls, it includes orange Asiatic lilies, butterscotch daisy pompons, burgundy mini carnations, goldenrod, roses (in the Premium version only) and autumn oak leaves beautifully arranged in a simply "smashing" ceramic pumpkin, complete with a lid and festive "Happy Halloween" pic. 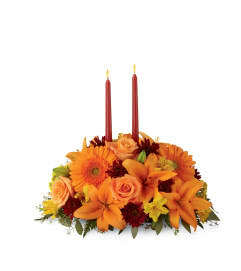 It makes such a sensational hostess gift for any Halloween soiree ... it's almost scary!